Here is to a lovely long weekend to celebrate all things Americana. Let's wish for sun, sand, pool time, sparklers, BBQs, parades, Popsicles, sundresses, ice cold lemonade (spiked), and while we are at it great hair. 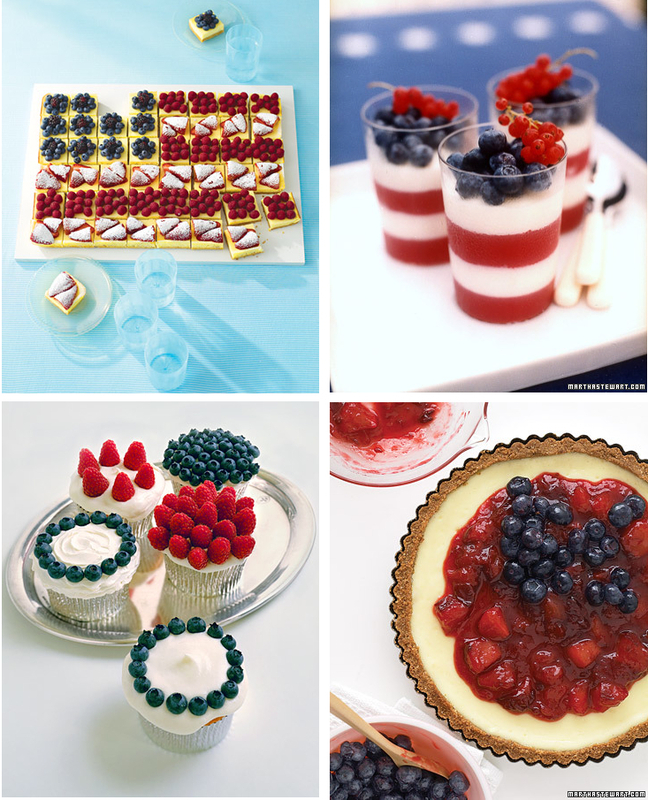 My wish is that I make one of these fun holiday inspired desserts from Martha Stewart. All of which have fresh berries on them, what could be better at the height of the season? I wish for your flags to fly high and your days be filled with fun with friends and family.